Ellen Ehrlich, CRS. GRI, ABR has been a Realtor since 1991 and, as a member of the Council of Residential Specialists (CRS) is one of only 35,000, or 5%, of all Realtors nationwide. This can be attributed to the fact that she not only brought with her to the real estate profession over 22 years as a sales and marketing professional but that she believes that attention to detail, superior service to her clients and continuing education is of utmost importance. She also has been recognized by her peers for her high standards of professionalism, ethics and for her leadership abilities. From 2010-2015 she was been in the top 10% of all Realtors in the country. Ellen knows that technology has improved the sales and marketing of properties and enables Realtors to be more responsive to their clients, but she also knows that technology cannot supersede experience when it comes to negotiating a purchase agreement from signature to close. Ellen is also a Graduate of the Realtors Institute, an Accredited Buyer’s Representative and is a Certified Relocation Specialist. Since the real estate industry is changing dramatically day by day, she believes that the “postgraduate” courses she has taken are extremely important to help her continue to meet the needs of her clients. She was previously a Director of a Real Estate Board and a member of the Arbitration Committee. She is on the Advisory Board of Directors of WISDOM (Women’s Interfaith Solutions for Dialogue and Outreach in MetroDetroit). 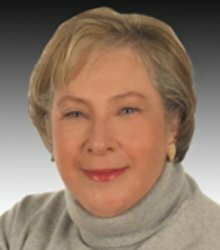 Ellen had been head of marketing and public relations for NBC News and CBS News in New York, Communications Consultant for the Episcopal Diocese of Maryland, and was also in the publishing and advertising industries. She has been listed in Who’s Who of American Women. Ellen is a graduate of Wells College.